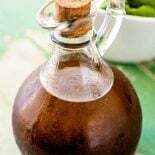 This homemade balsamic vinaigrette recipe is the quick and simple way of making this healthier dressing choice at home. It's easy to customize to your tastes and works as a great base for flavored vinaigrettes. We’re a bit picky about dressings in our house, and one of the two I always try to keep on hand is a good balsamic vinaigrette. However, I’ve had a lot of trouble tracking down a store-bought version that we love. It always tasted like something was “missing” – or maybe it was that there was “too much” of something – for me to want to buy any specific brand again. So, naturally, this eventually lead to me trying to make my own “perfect” version at home. And so far, this recipe has been the winner of the bunch by far. Primarily because of how simple it is. Not only does this vinaigrette dressing take five minutes to mix together, it’s also easy to customize to our tastes. Because sometimes I like a tart dressing for a fruit-filled salad or a sweet dressing for chicken or fish. 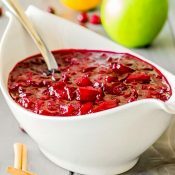 With this recipe, both are easy to accomplish on a whim. Plus, the recipe makes a modest amount (about 3/4 cup) so I don’t mind making little tweaks and adjustments to fit one meal. 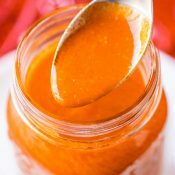 The dressing is usually gone by the time we’re done eating dinner or snacking on leftovers. What is the difference between balsamic vinegar and balsamic vinaigrette? 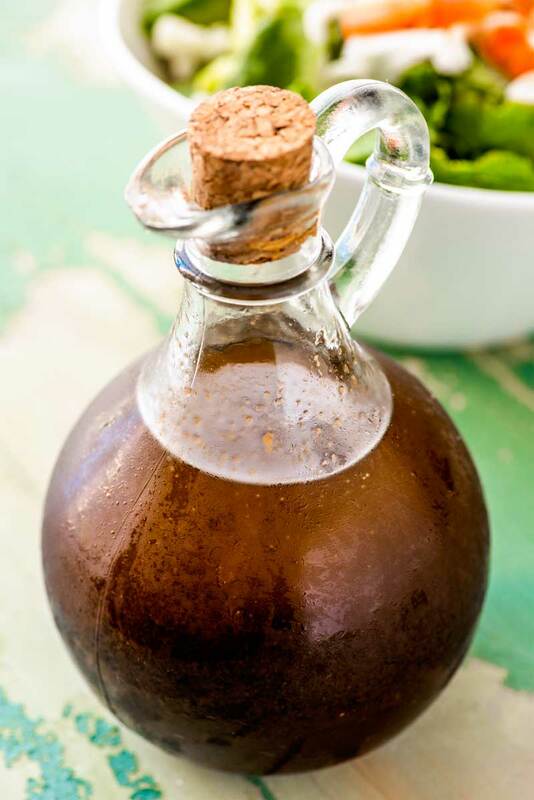 Balsamic vinegar is a dark, sweet Italian vinegar while a balsamic vinaigrette is a dressing made by mixing oil, balsamic vinegar, and another sweet or tart flavors. So, in other words, balsamic vinegar is a key ingredient in balsamic vinaigrette. They’re similar in that one is made using the other, but they’re used in different ways and could have totally different tastes. In a way, yes, a balsamic vinaigrette is healthy. But I think the better answer is to say that it is a healthier alternative when faced with options like ranch, thousand island, blue cheese, etc. 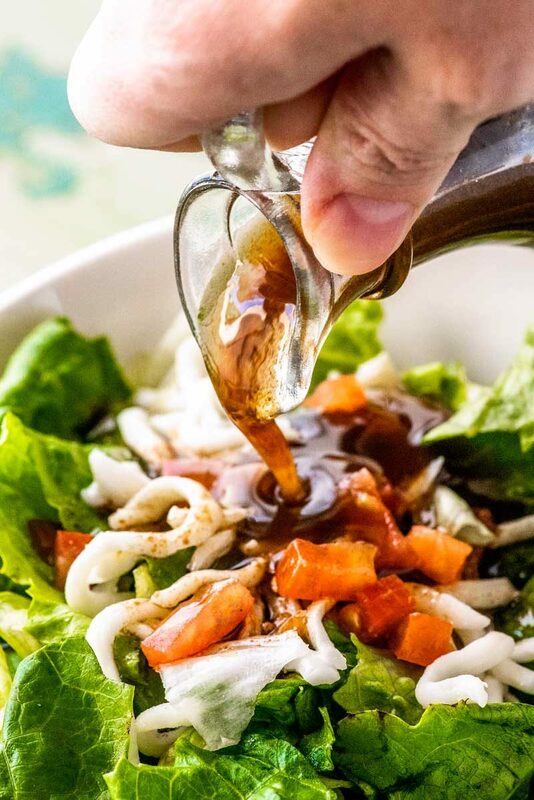 This is because a balsamic vinaigrette has a lot of healthy ingredients, such as balsamic vinegar (beneficial antioxidants, no fat, few calories), olive oil (good fats), and honey (more antioxidants). However, this dressing also includes some additions that might not fit in everyone’s view of “healthy,” such as Dijon mustard. The good news is that these ingredients only make up a small portion of the dressing, so their overall impact is minor compared to all the good-for-you stuff. 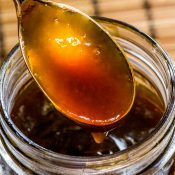 How long is homemade balsamic vinaigrette good for? 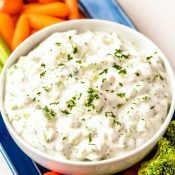 Once made, this dressing can be stored in a sealed container in the refrigerator for up to one week. Love the dressing but don’t like the minced garlic in it? That’s an easy fix! You can either pulse the dressing in a food processor for two or three minutes OR you can substitute the fresh garlic with 1/8 to 1/4 tsp powdered garlic. 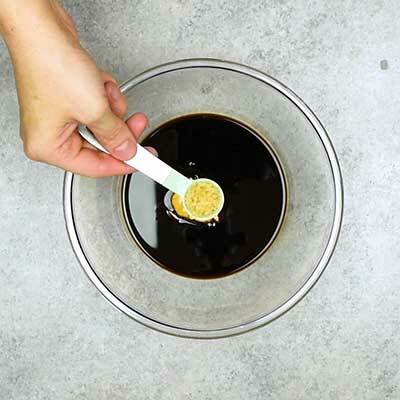 Step 1 – In a medium bowl, add balsamic vinegar, Dijon mustard, honey, and garlic, then season with salt and pepper to taste. Give the ingredients a quick whisk. 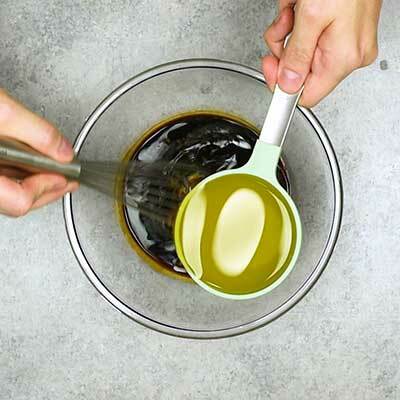 Step 2 – While continuing to whisk, slowly pour in the olive oil. The goal is to blend in the olive oil so that it incorporates with the rest of the ingredients. 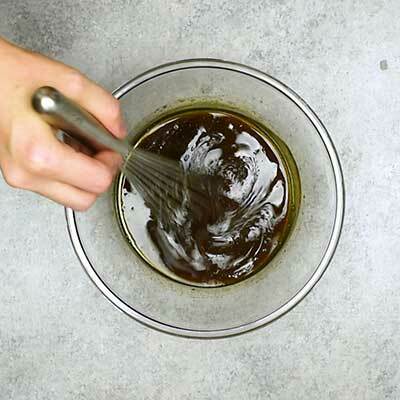 I typically use the sides of the bowl as my guide, whisking until the line of oil around the edges disappears. Step 3 – For the best flavor, I like to chill the dressing for at least one hour. This allows the garlic and other flavors to marinate a bit. Step 4 – Use as desired! 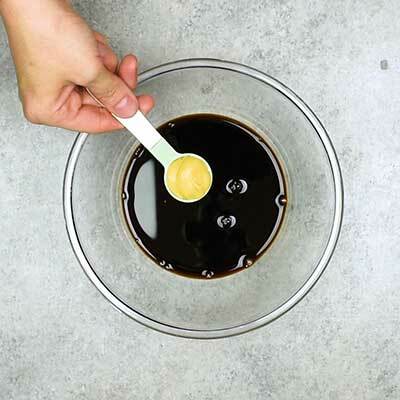 In a medium bowl, whisk together balsamic vinegar, Dijon mustard, honey, garlic, and salt and pepper to taste. While continuing to whisk, slowly pour in the olive oil, allowing the ingredients to incorporate. 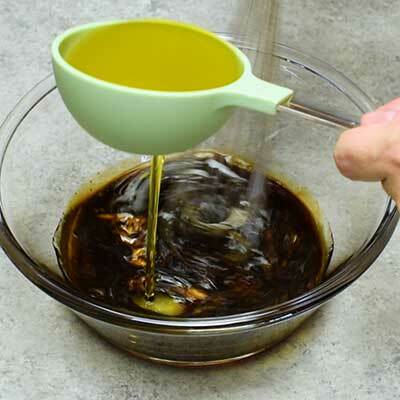 Continue to whisk until the oil is no longer separated, especially around the edges of the bowl. For best flavor, let balsamic vinaigrette chill in the refrigerator for 1 hour, then use as desired. Prepared dressing can be stored in a sealed container in the refrigerator for up to one week. Thank you very much for the Balsamic Vinaigrette Dressing recipe. Looking forward to making it soon. This was such a yummy, well-balanced dressing. Everyone loved it, so it’s my new go-to for Balsamic Vinaigrette…thank you!